TOK®-Dur is a two-component coating material based on acrylic resin. Good surface grip properties if sprinkled with grit. TOK®-Duris a two-component special product with a reactive acrylic resin as a binder. 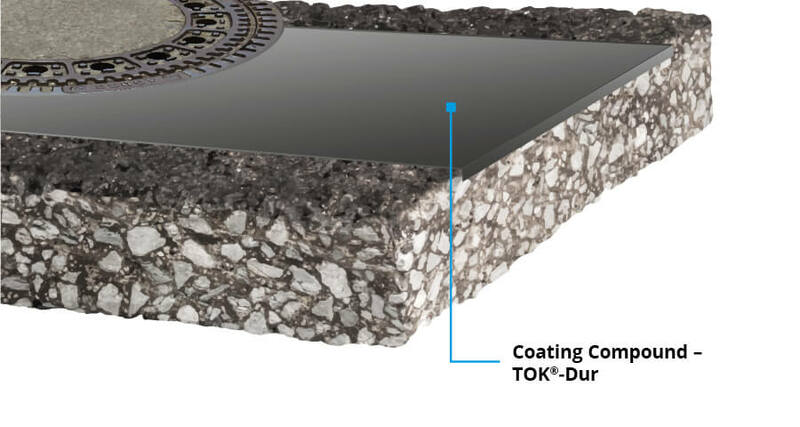 TOK®-Dur creates durable, abrasion-resistant and weather-resistant coatings to cover over fine cracks or to smoothen out unevenness, mainly on asphalt surfaces. TOK®-Dur is used to repair road surfaces and runways. As the material can be applied in very thin layers, it dries rapidly so that the surface can be quickly reopened to traffic.